Is Technology Damaging Our Eyesight? With more and more of us using our mobiles, tablets and computers on a daily basis, it also seems that vision-related problems are on the rise. Although researchers suggest that staring at screens won’t cause permanent damage, frequent use can exacerbate problems with eyesight, from eye strain to more severe conditions such as presbyopia. Presbyopia is an age-related long-sightedness caused by the thickening and loss of elasticity of the lens of the eye. The onset of presbyopia normally comes from around 40 years of age and unlike environmental-related conditions, it cannot be prevented. It’s believed that presbyopia is caused by the proteins in our lens breaking down through age, hardening the lens and reducing elasticity. These problems extend to the surrounding muscle tissues, which makes it harder for the eye to focus close up. As we are more heavily reliant on screens for general reading and day to day tasks, it could be that conditions such as presbyopia are being exacerbated. Worldwide, around 1 billion people suffer from presbyopia, however research from the World Health Organization has predicted that 1.4 billion people worldwide suffering from presbyopia by 2020, to 1.8 billion people by 2050. These symptoms are similar to those of presbyopia – people may develop eye strain, headaches, feel fatigued or unable to focus when performing close up work. Those who don’t get the suitable treatment for presbyopia and continue to frequently use screens, could be increasing their impaired vision. Uncorrected presbyopia can greatly affect the quality of an individual’s everyday life. 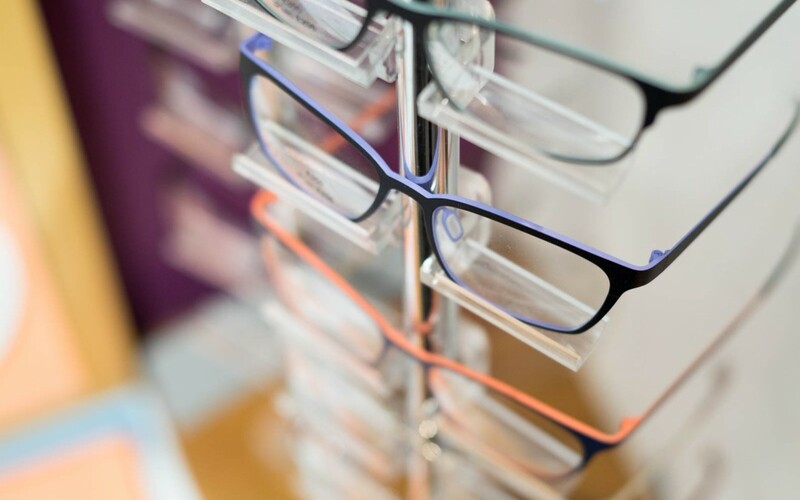 However your optician will be able to provide the required eye examination and treatment, to allow you to clearly see close up items and carry out normal activities without causing further damage. Glasses with bifocal or progressive addition lenses (PALs) are the most commonly used solution. Bifocal glasses provide prescriptions for both near and distance vision. The main part of the lens aids distance vision, and the lower part of the lens allows for close focus. PALs also offer two points of focus but provide a more gradual visual transition between the two, with no visible line between them. Another option for presbyopia is reading glasses, which will simply be worn when performing near work. Getting routine eye examinations and the appropriate treatment from your optician is essential to reduce the effects of visual impairment caused by presbyopia. If you’d like to book an eye examination with Tunnell Vision, or if you are experiencing any problems with your eyesight, please contact us on 01905 613020 or use our general enquiries form today.